The Pinstripe® Clear features midrange tones with low-end and increased durability. Constructed with 2-plies of 7-mil Clear film, Pinstripe® Clear drumheads have an overtone reducing agent applied between the 2-plies providing overtone control with increased attack. 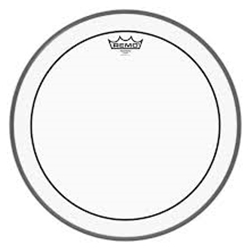 The Pinstripe® series is one of the world’s most popular drumheads.